Hyattsville, MD – The Historical Society of Washington, D.C. has recognized Wagner Roofing with the “Making D.C. History Award for Distinction in Historic Preservation.” Presented last week at a ceremony at the Society’s headquarters at the Carnegie Library, the distinction celebrates Wagner Roofing’s 101 year legacy of restoring and repairing some of the metropolitan Washington region’s most distinguished public buildings and private residences. Wagner Roofing’s handiwork has graced more than 500 sites, including the Washington National Cathedral, Smithsonian Castle, U.S. Naval Academy’s Mahan Hall, 6th & I Historic Synagogue, President Lincoln’s Cottage and the Old Post Office Pavilion. At the heart of Wagner Roofing’s work is a passion for quality, customer service and artisanship. Additional 2015 award recipients included the Association for the Study of African American Life and History, the Cassell Family, Clyde’s Restaurant Group, Hillcrest Children and Family Center and the Ourisman Family. Over the past four years, the Historical Society of Washington, D.C. has honored sixteen Washingtonians and D.C.-based organizations whose enduring contributions to the community have helped create, define, and preserve the city’s heritage. 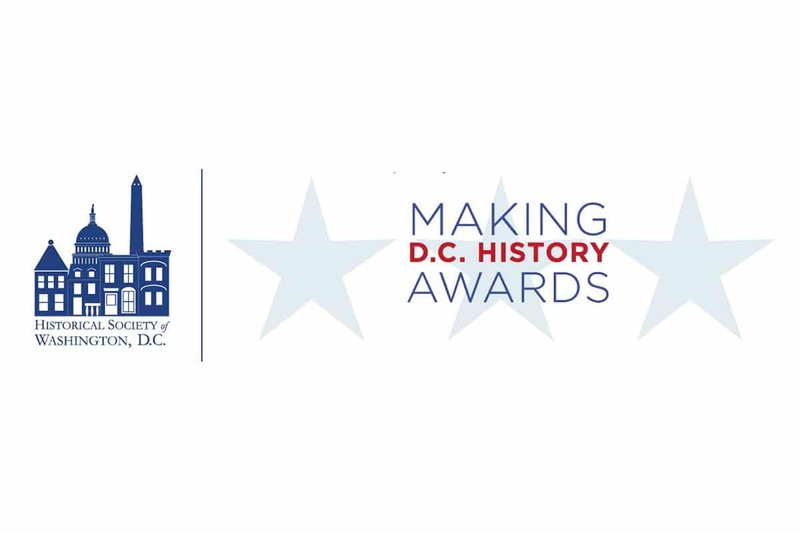 The Making D.C. History Awards is an annual event that supports the mission of the Historical Society and honors it as one of the city’s most important locally-focused cultural institutions. The 2015 awards celebrates the accomplishments of distinguished honorees who have left their marks on Washington.